The newsletter is always seeking submissions from members! Has a session from a recent WPWVC function brought inspiration to your library? How? What’s happening at your institution? 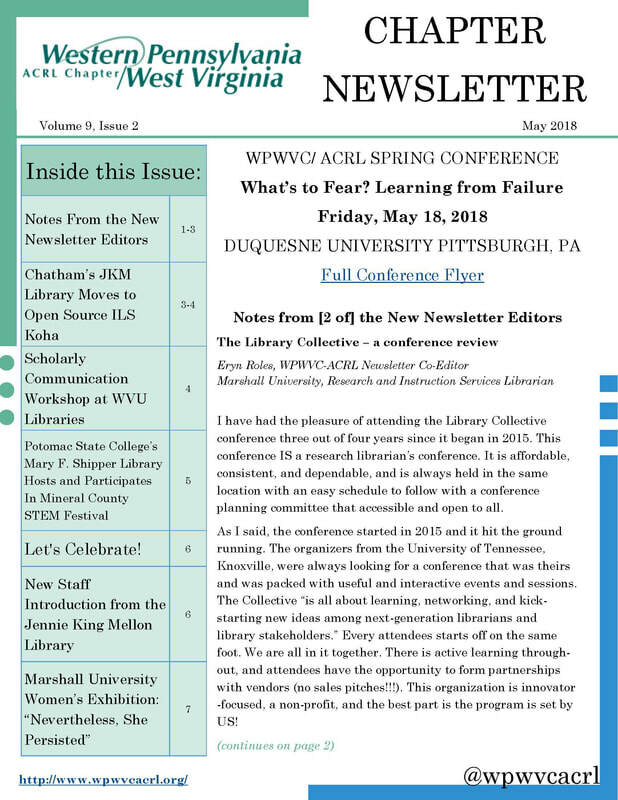 Following a library blog of interest to the chapter region? Tell us about it. Regional or National academic library events for a calendar.